I found this box of free ornaments at a local Give and Take a few years ago. We were newly married and didn’t have any ornaments, so I knew I needed to snag them! Only, they weren’t very pretty.
. Cut up your tissue paper into about 3 inch wide strips.
. 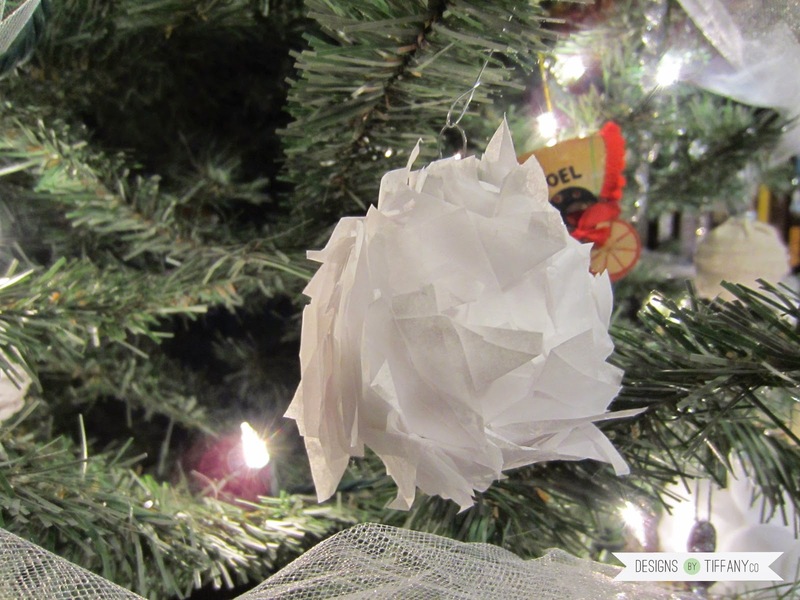 Fold to give it some volume.
. Once you have a lot of strips, start gluing them onto your bulb ornament in layers.
. Cut up squares, rectangles of tissue paper. Fold them up a bit to give them more volume. Glue them all over on your bulb.
. This really isn’t made by spitting onto you paper… But as I was trying to come up with a name for this creation, I decided that that’s what it kinda looks like. Ooops! 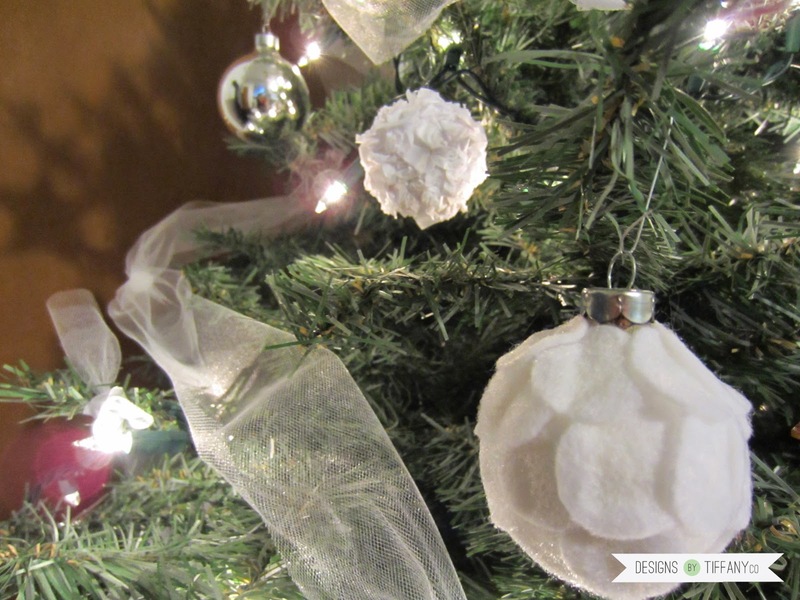 Well, this one is really easy if you still want to try it: Cut out rectangles of tissue paper, scrunch them up into volumized balls, and glue onto your bulb. Easy-peasy.
. 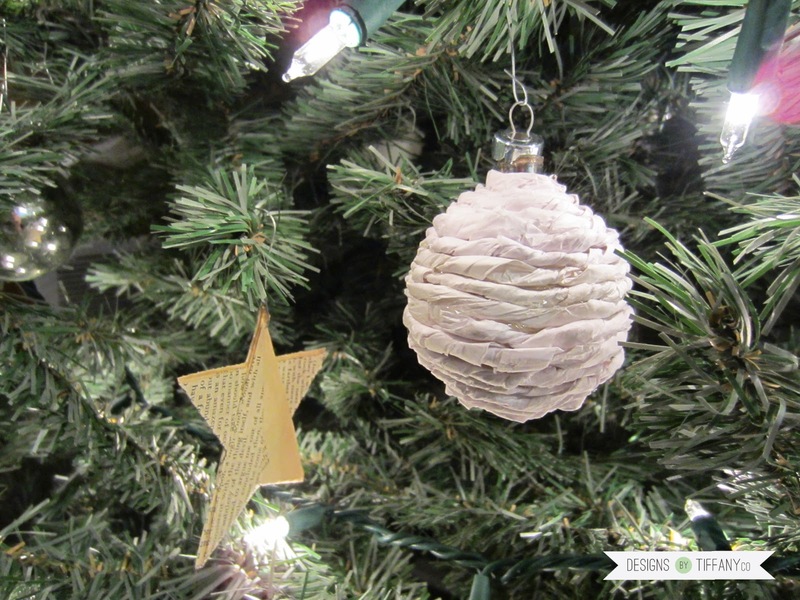 Using felt this time, cut out little 1 inch – 2 inch circles. 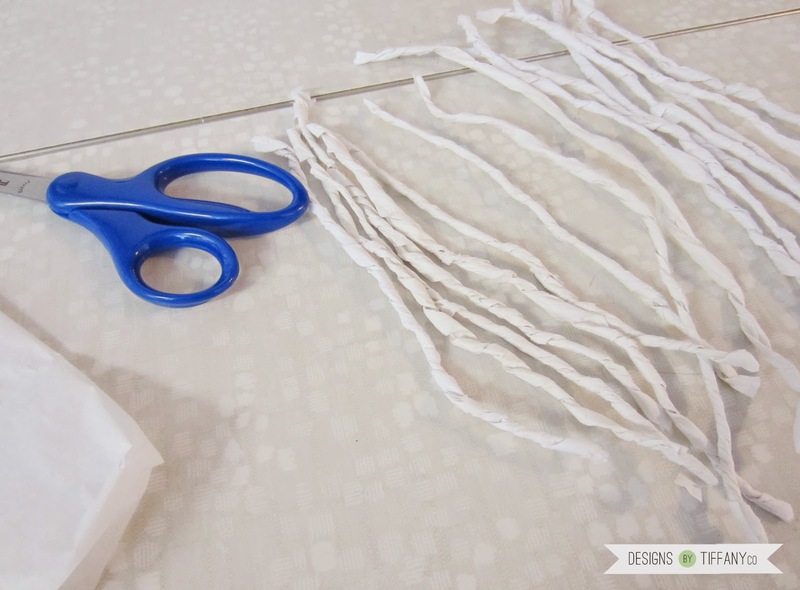 Glue them on your bulb starting from the bottom and layering until you get to the top.
. Get some fabric that shreds really well and cut out a long strip. Muslim or cotton. Even burlap. 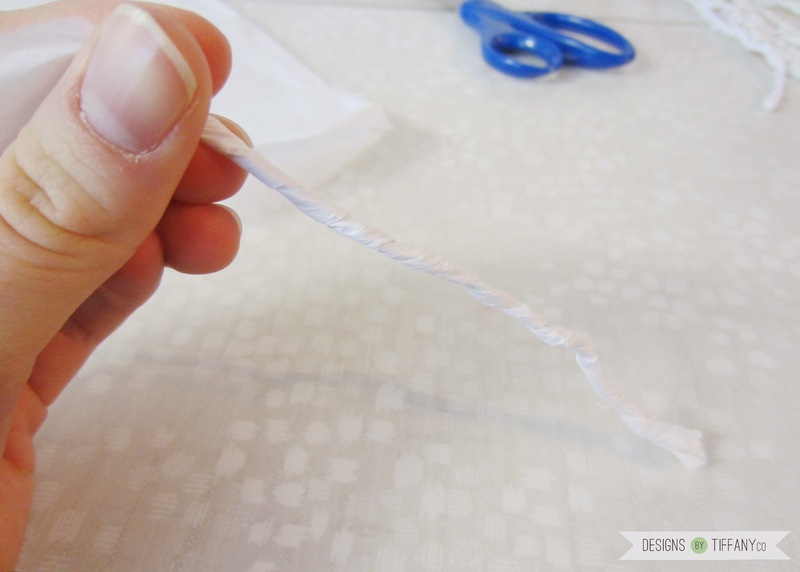 Shred one side of the strip by pulling the vertical threads out. 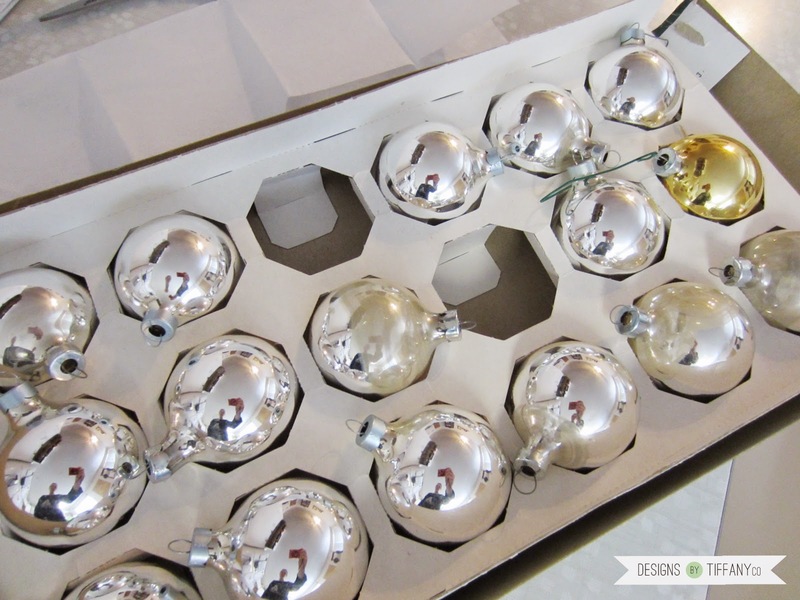 Starting from the bottom, glue onto your bulb layering around and around until it’s fully covered.
. 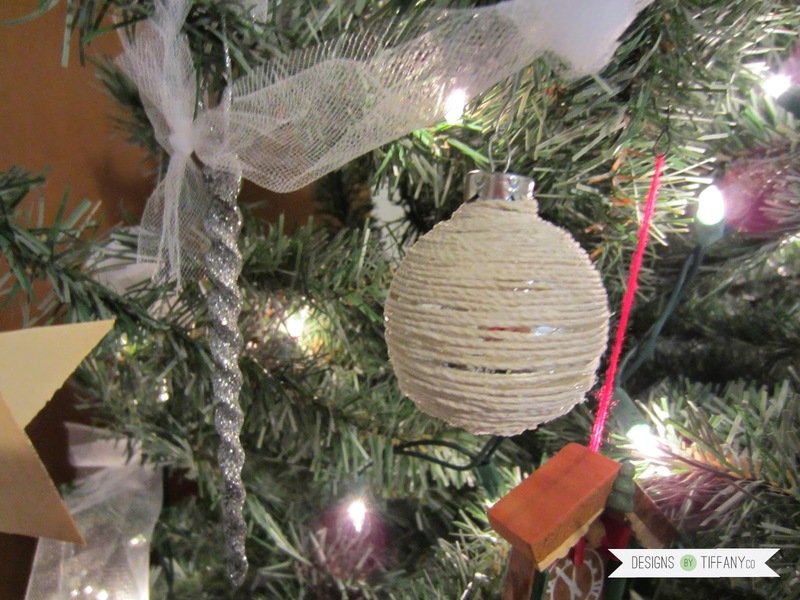 Using twine of any sort, start at the bottom and glue the twine around and around, layer upon layer until the whole thing is covered.
. 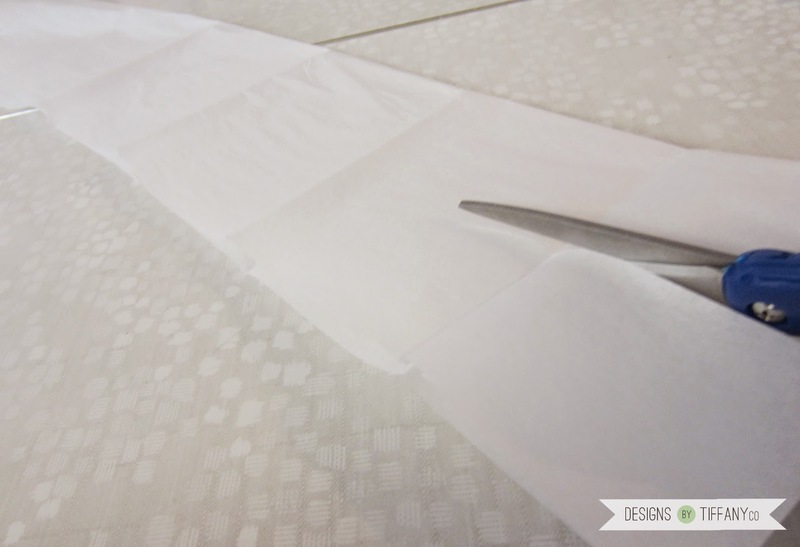 Using tulle, cut out a square large enough to cover your bulb and have leftovers. 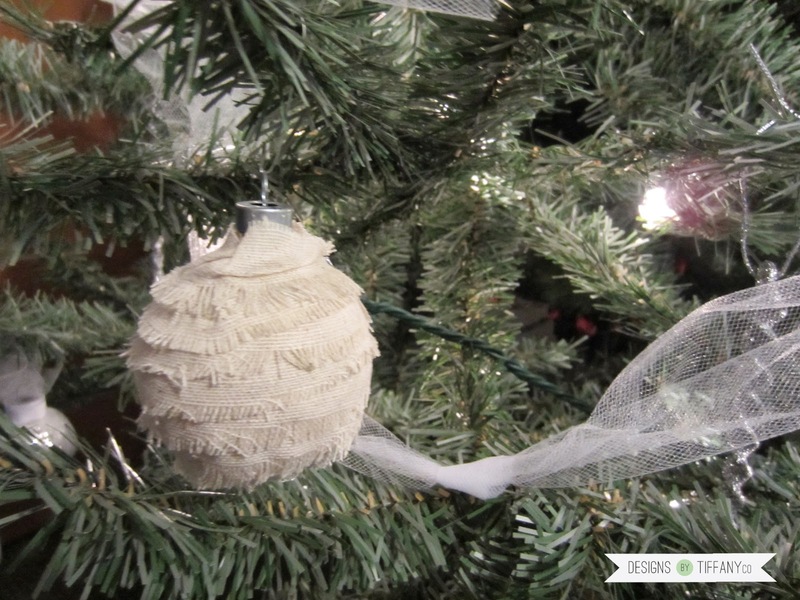 Cut a piece of ribbon about 1.5 inches and set aside.
. Cover your square tulle over your bulb and gather it at the top. Glue a bit of it to hold it together on the bulb.
. 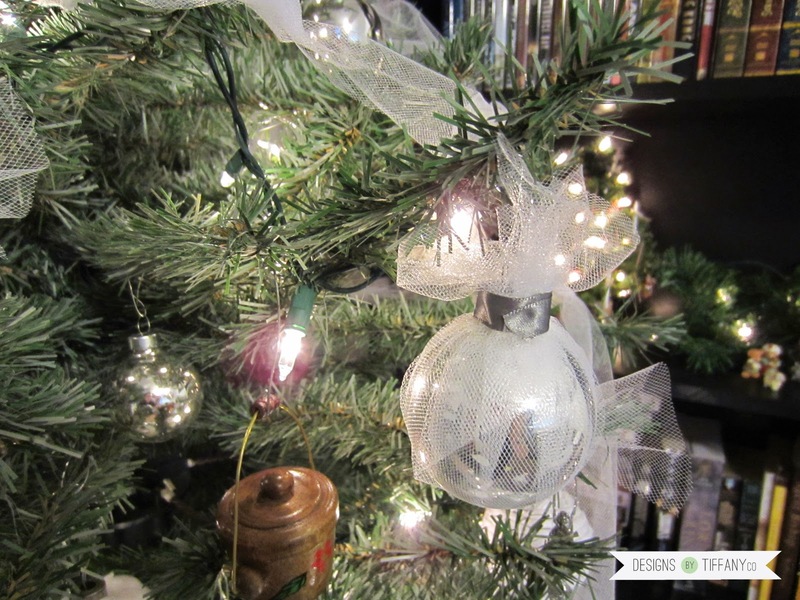 Grab your piece of ribbon and fasten it around the top of your bulb and glue it together.